The 2009 Norfolk and Norwich Festival is nearly here and looks set to be the best yet. From 1st to 16th May Norwich will be transformed into a vibrant capital of culture, offering music, dance, theatre, cabaret and circus, at many locations across the city. Highlights this year include world premieres and new commissions. During the second week of the festival there will be an incredible line up of stars taking to the Theatre Royal stage. This years Festival launches with two free events. Fanfare Le SNOB (Service de Nettoyage des Oreilles Bouchées, or the Cleaning Service for Blocked Ears), a French street band, will be performing at Millennium Plain at 5.30pm and 10.15pm on Friday 1st May. 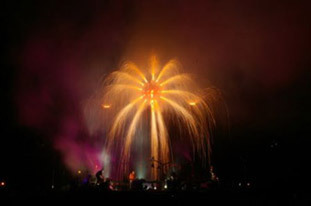 Then Les Commandos Percu Très Mérchants - Bombs per Minute - will be shaking Earlham Park on Sat 2nd May at 10.15pm, with their spectacular musical pyrotechnic display. This year Chapelfield Gardens will be reinvented as the Festival Gardens, at the heart of which will be the The Spiegeltent (mirrored tent), an exciting new festival venue in the heart of Festival Gardens and will be up and running from Friday May 8th to Saturday May 16th. 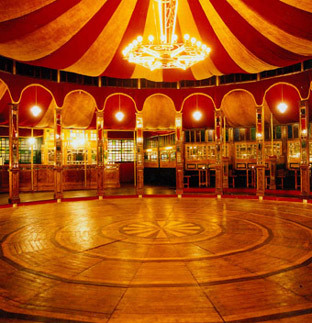 The Spiegeltent is a traditional European wooden structure which will host some of the best dance, opera and cabaret shows. 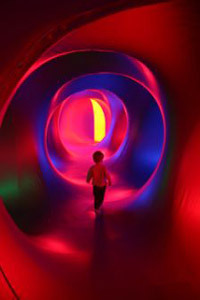 Festival Gardens will also be hosting Levity III, a 10,000 square foot walkthrough sculpture of psychedelic colour and surround sound. Also, as part of the biggest children’s program to date, Festival Gardens will be hosting a two day Garden Party on 9th and 10th May. It’s free fun for all the family. We will be trying to make it to as many events in our area as we possibly can. Check back here to see our pictures. We would love to hear about your experiences of the Festival. Please get in touch using our contact form and your thoughts and pictures could make it onto this page! For more information on everything that is going on as part of the Festival take a look at the website.